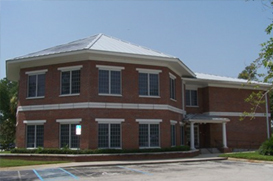 Oviedo is conveniently located just 18 miles northwest of Orlando in Seminole County. This amazing city offers those who live and visit the area a welcomed retreat to natural beauty with its lush trees and vegetation, as well as its gorgeous medley of lakes and rivers. It is truly a spectacular city in which to live and a great place to experience Central Florida at its finest! As one of the most respected and fastest growing communities in all of Seminole county, Oviedo is busting with old town charm indicative of the traditional Florida lifestyle. In fact, in 2009, the city of Oviedo was voted #100 in CNN Money Magazine’s 100 Best Places to Live, which comes as no surprise given all that the area has to offer in the way of natural beauty, recreational activities, quality of life, and a tremendous trend towards residential and commercial growth. Real estate for sale in Oviedo ranges in price from $59,900 to $2,875,000.